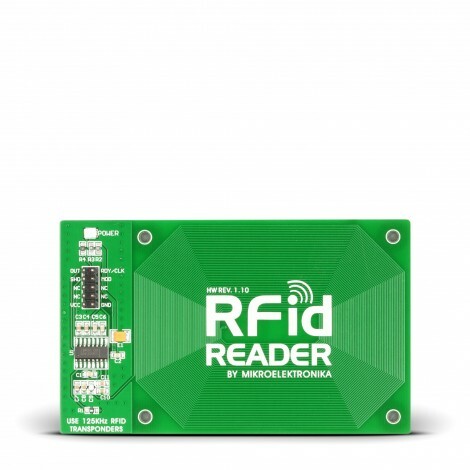 The RFid Reader Board offers an effective and low-cost solution for connecting your prototype device to an RFid reader. The RFid reader can be used in a variety of applications. Use this board to create RFid supported devices in a jiffy. RFid Reader Board is a 125KHz RF transmitter and reciever, featuring EM4095 controller chip. The reader has three main functions: energizing, demodulation and decoding. Reader can be connected to microcontrollers or PC for encoding the data read from RFid tags. Signal is Manchester-coded.